​After a summer of speculation, ​Arsenal are said to be close to negotiating a new long term contract for midfielder Aaron Ramsey. The 27-year-old's current contract with Arsenal is set to expire in 2019 and unsurprisingly the Gunners have been trying to extend the deal of their longest-serving player all summer. Ramsey's importance to the side was highlighted during the 2017/18 season as he starred in the centre of the park, scoring 11 goals and notching 12 assists in all competitions. According to the ​Telegraph, Arsenal are now 'close' to agreeing a deal with Ramsey - who has been tentatively linked with both ​Chelsea and ​Liverpool - to keep him at the Emirates Stadium well beyond 2019. New manager Unai Emery has already expressed the fact that he is eager for Ramsey to remain with the club, and that he appreciates just how important he is to the current side. ​Speaking last month, Emery said: “For me, I want him to stay with us, to work with us, to give the team the big performances with his quality. I think he is going to stay here with us." 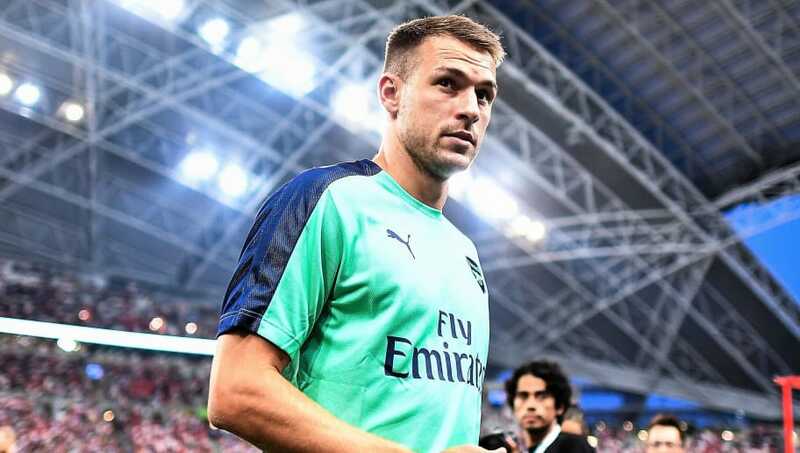 Ramsey claimed initial reluctance to pen a new deal with the Gunners was due to footballing reasons rather than financial disagreements, claiming that he wanted assurances about his playing time before he committed his future to the club. If Ramsey does sign a fresh contract then it could prove to be one of the best pieces of business of the summer for Arsenal, as it removes the risk of losing another key player for little to no money, following the fan provoking recent losses of the likes of Alex Oxlade-Chamberlain and Alexis Sanchez.